One day we did a tour on a chiva. 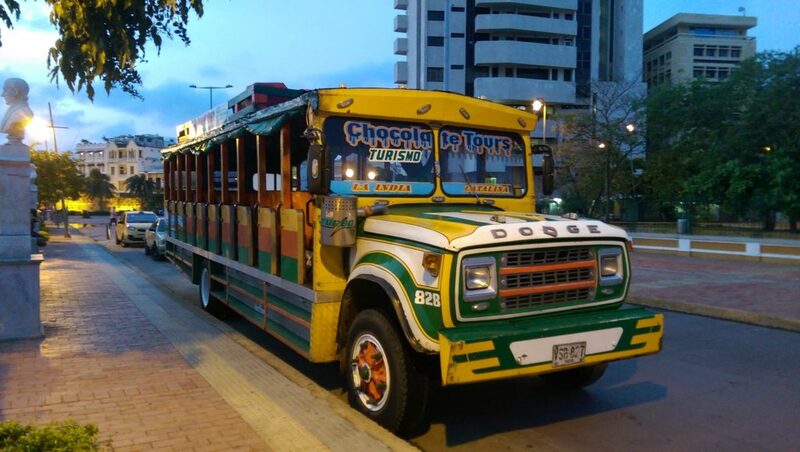 These are quite popular buses in Colombia and can be used as public transport, usually in rural areas, or as tourist buses, usually in the cities. The seats are all benches and there are no doors or windows, you just climb in the side and slide along. They are actually quite safe (for Colombia). The chiva took us around Bocagrande (or Big Mouth) bay, picking up passengers along the way. Then we went up to the top of a hill overlooking the city to the monastery at La Popa. On the way back we all went and had our photos taken in Los Zapatos Viejos (The Old Boots) before finishing off at San Felipe Fort. We visited the historic town area, which is a UNESCO world heritage area, a number of times. It is an amazing place. Architecturally it reminded me quite a bit of Seville. There were lots of dance groups out entertaining the tourists and even at night it was still hot, well up in the 70s and more likely the 80s. It was built when the Spanish invaded and has lots of winding streets opening up into large squares. 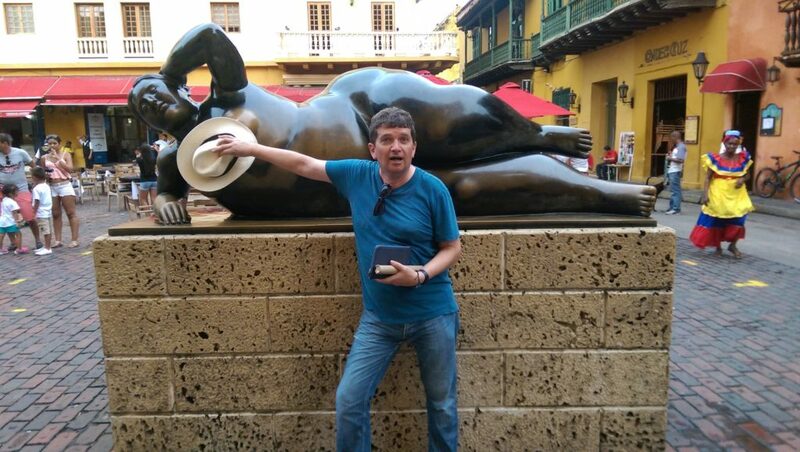 There are streets that have been taken over by artists selling their paintings as well as a lot of public sculptures, including one by Botero. We also managed to do some star spotting while we were there. 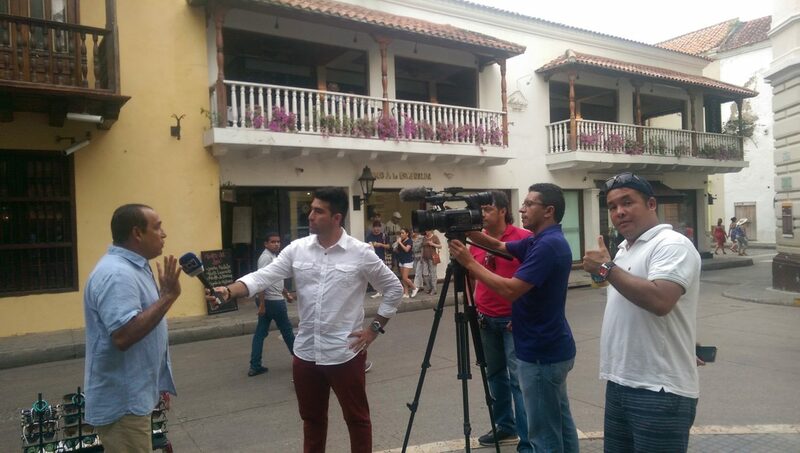 Alvaro met a rather dapper older guy who hosts the Miss Universe contest in Colombia. And then he spotted a local news report …. 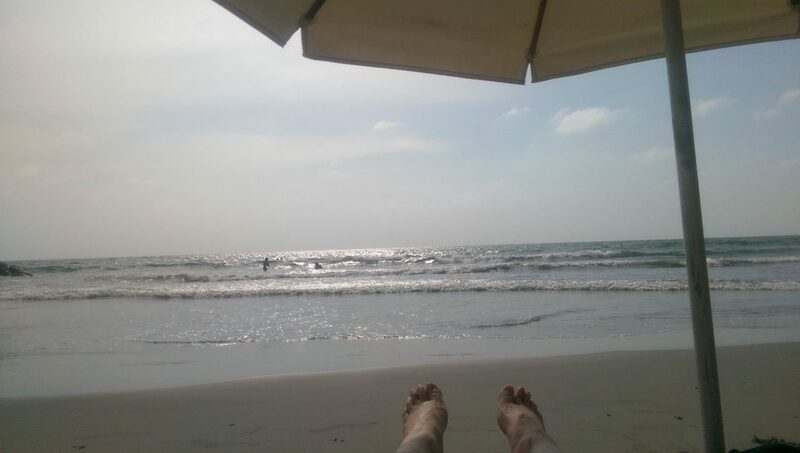 We visited the beach at Bocagrande a couple of times. I managed to avoid the rather pushy crab salesmen by being vegetarian while Alvaro ate the most expensive beach snack of his life! And we spent a day in the company of Alvaro’s relatives from Bogota. 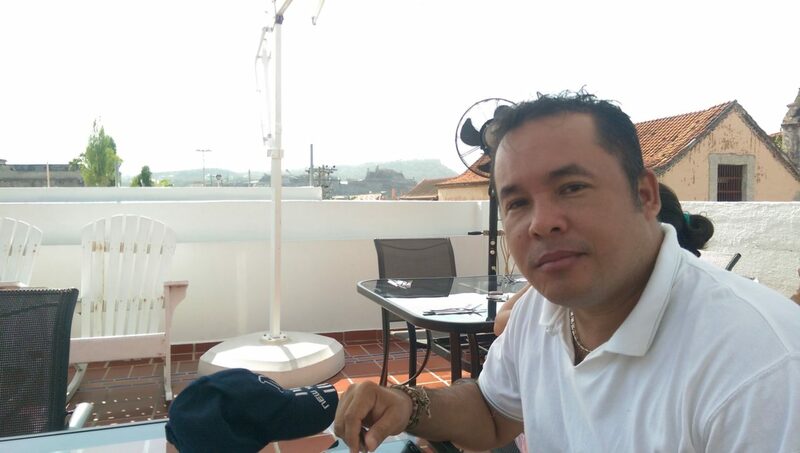 They were in Cartagena for the weekend and we visited them in their holiday apartment before going for lunch and then a slow, leisurely stroll around the beaches to the west, north and east of the city. All in all, Cartagena is ridiculously hot, incredibly beautiful and full of great places to eat. 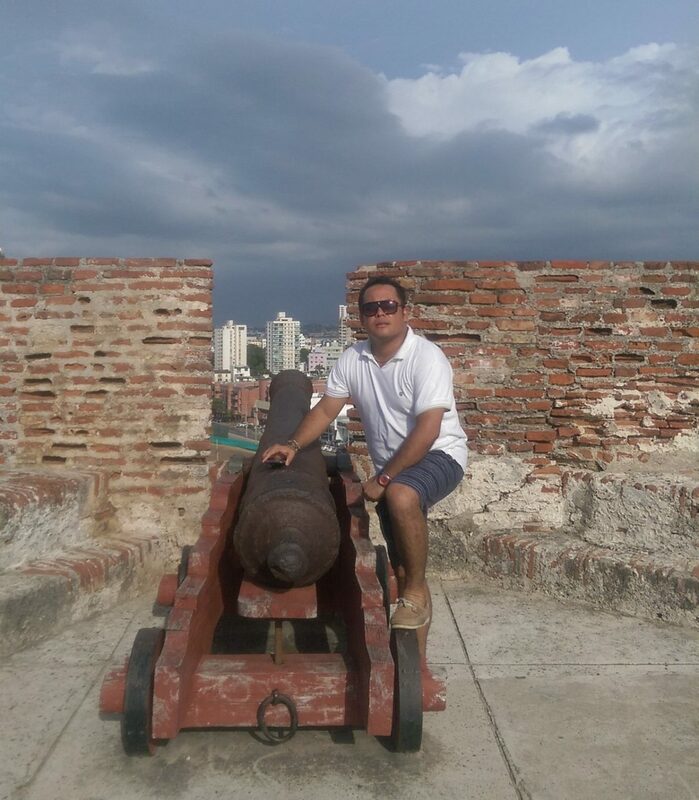 It is one of the most international places that I have visited in Colombia and I had less use for my Spanish here than anywhere else I have been. If you get the chance to visit I can highly recommend it. Personally I’d love to come for the Hay Book Festival they hold here. There are more photos from the trip over in the gallery.